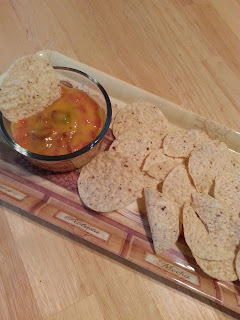 Do you need a dip to pair with chips for movie or game night? Give this easy and delicious cheese dip a try. In a saucepan add cheese, stir until cheese is melted. Stir in drained diced tomatoes with green chiles and cooked crispy bacon. Serve with tortilla chips.